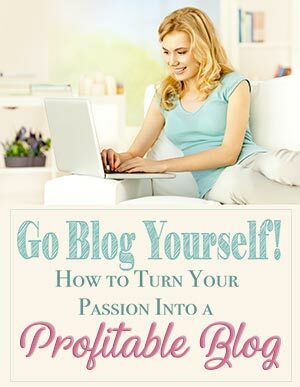 You are here: Home / Blogging / Basics / Go Blog Yourself – Turn Your Passion Into A Profitable Blog! Fast forward to a few years later, and I am pleased with the results thus far. However, I have to say that it took me quite awhile to figure everything out and to get my blog up and running. That is because I have done everything myself – researching the best methods, setting everything up, coding, and on and on. Lucky for you, I am sharing all of my hard-earned knowledge, so that you can skip all that initial work and get right to the good stuff – blogging! 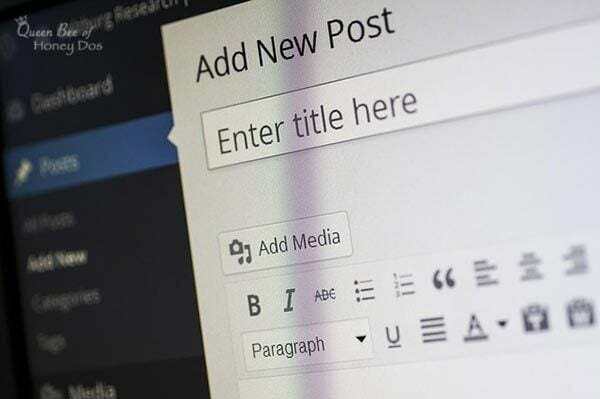 The first and probably most important step in starting a blog is deciding what type of blog that you are going to present to the world. There are so many from which you can choose – food, fashion, beauty, travel, photography, DIY, home decor, parenting, and the list goes on and on. For the most part, there is a bit of overlap in some of these genres. For example, if you have a fashion blog, you may occasionally write about a beauty product, or vice versa. The same can be said for travel and photography, DIY and parenting, or DIY and home decor. So, you shouldn’t feel that you are going to be locked into one area. However, it is important to define the general niche that will encompass the majority of your work. You’re going to also need to consider how frequently you want to post and whether or not you can sustain that volume with your chosen area. When I started planning my blog, I initially thought that I was going to offer woodworking projects. However, I knew that there was no way that I could complete the minimum of two projects a week, which was the number of posts that I wanted to publishing weekly. After some more thinking and planning, I decided to set my blog up as a Home Improvement blog that would not only provide DIY projects, but also would offer interior design articles that could inspire the DIYer. This allowed me to do write-ups without an actual project to present. The good news is that with a successful blog you will be free to expand to related areas later, should you choose. After blogging for almost two years, I saw that I had enough craft related woodworking projects that I could easily split my Projects category into two separate categories. Since crafting is a sideways topic within my genre, I decided to divide my single Project’s category into a Home Project’s and a Craft Project’s categories, and just like that I had expanded. Fast forward several more years, and I was starting a whole second blog, which is where you are right now. But for now, let’s just focus on identifying the genre that you want to start out with. The next step in starting a blog is to choose a platform. To put it simply, a platform is basically a publishing service. To give you an analogy, think of what Word is for Windows. There are so many different platforms out there to choose from that it can become overwhelming and confusing. However, since we are talking about creating a profitable blog, we can quickly eliminate everything except self-hosted platforms. I say that because to be a serious blogger, you are going to want to have complete control over your blog. That includes being able to advertise, monetize and customize your site. Because of this, I highly recommend going with WordPress.org (not to be confused with the free WordPress.com). It is really more of a content management system than anything else. Meaning, it not only handles publishing but also handles images and documents that you want insert into a post. This is only part of the reason why it is considered the number one platform. It is also incredibly user-friendly. They offer amazing support (including a forum where you can search for and post questions), and it is free to install with most hosting services. With Bluehost (discussed below) you will also get the option of free SSL service. You are going to want that because Google now dings you if you don’t have it. Plus, if you plan to sell anything, you want to make sure your shoppers are protected. So, what is a hosting service, and why do you need one? Well, as I said above, for a monetized blog you are going to want to self-host (i.e purchase your hosting and have complete control). A host is the server where your blog resides. Sticking with the analogy that I used before if a platform is like Word, then a host is like the computer that stores and shows you the Word documents. It is responsible for containing and distributing your content to your visitors. So, you are going to want one that has already proven itself to be reliable. I personally started out using Bluehost,* as do many other successful bloggers. Their cpanel is very user-friendly and easy to navigate. There is a wealth of support documents located on their site, and they also have live chat, which is great if you need emergency help. But probably the biggest reason that many people go with Bluehost is because the starting rates are incredibly reasonable. As a new blogger, you probably are going to be leaning towards the lowest priced plan, and there is absolutely nothing wrong with that. It is a great package to get a blog up and running. After your blog grows to a certain level, and you feel that it has surpassed your original needs, you may decide to upgrade to a high-end hosting service. 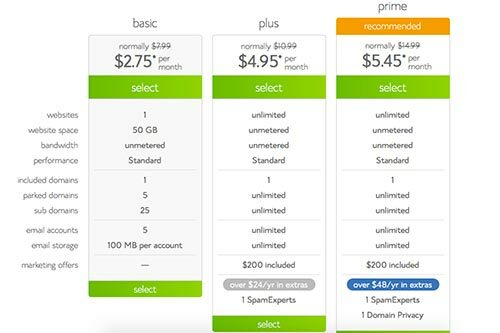 However, if you have a big enough budget and you want to start out with a premium hosting service, I highly recommend WP Engine. They are specifically tailored to WordPress users and offer exceptional service. In addition, their plans come with Genesis and 35 Studiopress themes for free! (More on that in a bit). In addition, there are many other great options out there for hosting. Some people like Siteground. I have never used them, so I can’t speak personally on them. Right now, I am with Agathon, which is tailored to MediaVine users. Now, the fun stuff – choosing your domain name. This is where you get to make your very first act of creation. You want your name to be something that reflects a little bit about you and what your blog represents. It can take a while to come up with a name, especially in a world where there are hardly any simple domains left to be had. I went through at least twenty potential names trying to find one that wasn’t already taken. I was thoroughly defeated before I finally found one that worked. The trick to finding one that is available is to not be too basic. You’ll find that longer domains are almost inevitable. You also want your name to be memorable, and if you plan to trademark it, you should do some research on the USPTO site. Once you think of a name, do a quick search to see if there are any other bloggers out there with a similar name. If you have a long name, try eliminating a word or two or rearranging the title to see what comes up. You don’t want to regret the name you choose a year from now. When asked what the one thing she would change, Abby over at Just a Girl and Her Blog (a very successful blog, I might add) said that she wished she had chosen a different blog name. She didn’t realize at the time that there was another blogger out there with a very similar name. I am moving on with the assumption that you are going forward with my above suggestions and self-hosting your own blog. So, now that you have decided on all the above, the next step is to make your way over to the host of your choice. If you plan to go with Bluehost,* you’ll be given the option to purchase a domain during the process. Once you have chosen your package and provided all of your information (no more difficult than any website check-out), your cpanel will be displayed. You can customize what is displayed by clicking on the buttons below the Helpful Resources’ section. You will notice on my old cpanel that I had everything showing except the database and the services. If I needed those, all I had to do is click the button and it would display that section. You are also going to want to set up an email account for your blog. The great thing about Bluehost is that you can have as many email accounts as you need. This will come in handy later if you want to create additional email accounts. For example, I have an email account for advertisers, one for guest bloggers, and one for support. But to start with, you will probably want to create an email account for your visitors to be able to contact you. Make it whatever you like – contact, support, or even your first name. The @yourdomain will automatically be added for you. Once your email is set up, scroll on down to the website section in your cpanel. You will notice the Install WordPress icon. Click that to begin your install. (This is the one area where WP Engine is more user-friendly, as all of this is done for you before you get started). You will have the option to do a free or a paid install. 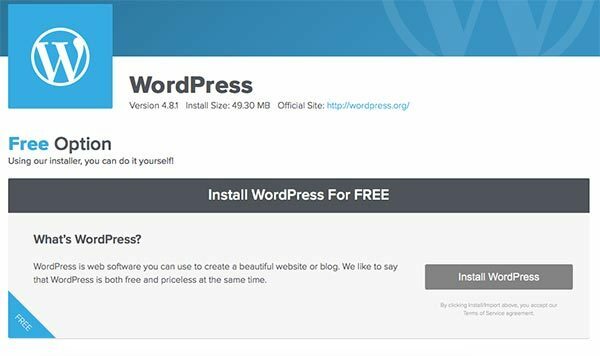 You can do it yourself for free by clicking the Install WordPress button. Then, select the domain name where you want it installed (this would be the domain you purchased before). Check that you have read their licenses and service agreement. Then, click install. It’s that simple. If you are scared to do this step yourself, you can scroll down just a bit from the page shown in the above image. 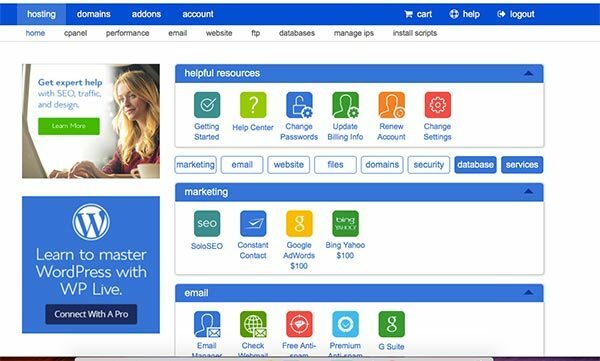 There is an option to pay to have Bluehost install it for you. It is approximately $50 for them to do it, and it only takes a few minutes. Now the exciting part – choosing and installing your theme. A theme is a set of templates and stylesheets that create the user interface. So if we use that same analogy again, the theme is like the templates that you choose in Word to create a specific design – like a brochure or a card template. This is where your blog begins to come alive and take on a personality. WordPress offers some very nice free themes from which you can choose. Also, your WordPress install comes with a few themes already installed. These are fine if you like them and want to use them. However, I want to stress that choosing the correct theme for a business blog is crucial. While some themes are great for hobbies, if you are going into this as a serious business, there are a few things that you should consider. First, not all themes are created equally. By this I mean, that some themes are heavy. They can drag your speed down. This is not something that you want to happen when you are trying to offer a professional blog. Also, many free themes do not offer great technical support or update as often as needed. Think about it, if you are not getting paid to put the time in to keep something up, how likely are you to maintain it to the best of your ability. Same goes with themes. That’s not to say that there aren’t some good free possibilities out there. But, it is something to consider. A good theme will be optimized for search engines. Now, you may not know how important optimization is right now, or even what it is, but trust me, it is so very important. What I will tell you is that I use Genesis Framework* with the Lifestyle Theme,* which is what you are seeing on this blog. Genesis is a top-of-the-line framework for use only with WordPress. So, “what is this framework,” you ask. In the nutshell, Genesis provides the foundation for a theme. It is not a theme within itself but is a two-part system. You get the basics in Genesis (the framework) and then, you can add any of their child themes that you like, such as my Lifestyle Theme* or even the Brunch Pro Theme* seen above. The reason why I, and many other professional bloggers, choose to use Genesis is that it is very light, optimized, and mobile friendly (another very important feature). Updates typically only take place within the Genesis Framework, and all of your customization takes place in the child theme. So, there is no messing around with your changes. I don’t know who came up with the idea to do it that way, but it was the best idea ever. You can check out all of the StudioPress Themes* here. (FYI – if you are planning to purchase a StudioPress theme, there is no need to buy the Genesis Framework separately. The themes come with both, and is the better deal). Additionally, you should take the time to choose a theme that you like and can live with for a long time. It is not so easy to switch themes later on. You will see a lot of suggestions out there that tell you to “just switch and see if you like it. If you don’t, you can always switch back.” That sounds nice until you discover that you just lost all of you customization and everything is completely messed up. Yes, that happens when you switch themes. You lose all of your customizations when you change. Unfortunately, those customizations don’t return if you decide to switch back. So, choose wisely now. I failed to and suffered some major headaches trying to rewrite all the code that I had previously written and lost. 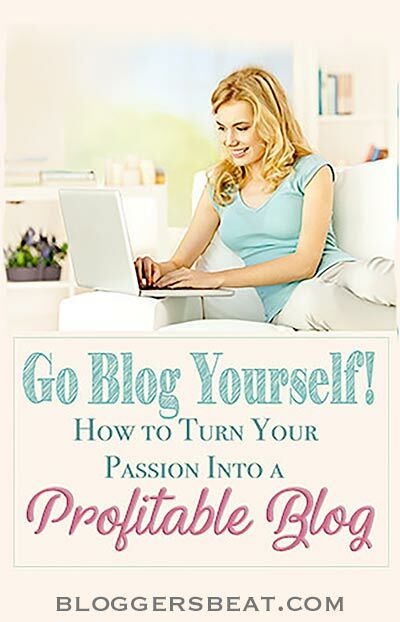 Now that you know the steps to get started with blogging, why wait any longer? You can take your passion and turn it into a great means for earning income. Aside from the above, the best advice that I can give you is to be authentic. Stick to what you know and what you are passionate about, and only promote products that you truly believe in. Your viewers will always be able to tell if you don’t.